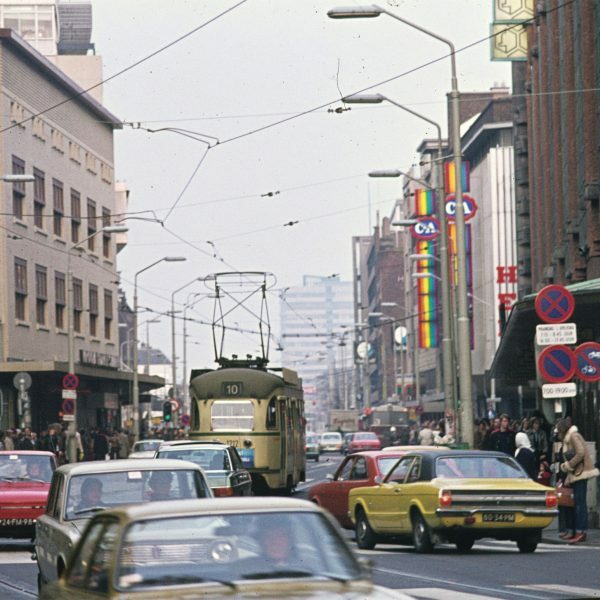 During the Cold War, West Berlin was desolate and unwanted to live there. The government offered men the opportunity to move there if they wanted to avoid enlisting in the army. This promotion attracted a certain population and created a hub for alternative lifestyles. When the Berlin wall fell in 1989 and the east and west of the city reunited over the next year, an enormous growth of the population was prognosticated. Many new flats, offices and shops were built in Berlin. In the following years, the number of inhabitants did not grow to the predicted level, which caused an overflood of empty space that was then filled by the creative sector. The creativity was there, but unfortunately the economy didn’t follow. It’s often said of this city—where no minimum wage exists—that no one has a job in Berlin, but everyone has a project. S-bahn and split into two distinct parts: the south side is rich and the north side is poor. 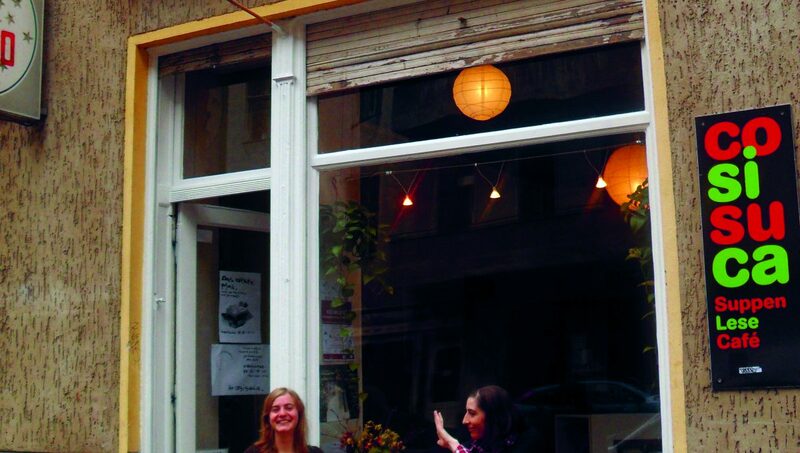 Stefanie Raab, long-time resident of North- Neukölln, has recognized the empty shops in the ground floors as a potential for the development of little local enterprises with a calculable investment risk for local entrepreneurs. She convinced the local Real estate owners of a new way of cooperation with local entrepreneurs to give them a chance to start their business without high shop-rents. Inspired by the idea of cooperative uses for vacant shops Stefanie Raab began the project Zwischennutzungsagentur (agency for temporary use) together with Maria Richarz in 2005. In a short time it became a planning office for temporary and sustainable use coordination, networking and participation focused specifically on Neukölln. 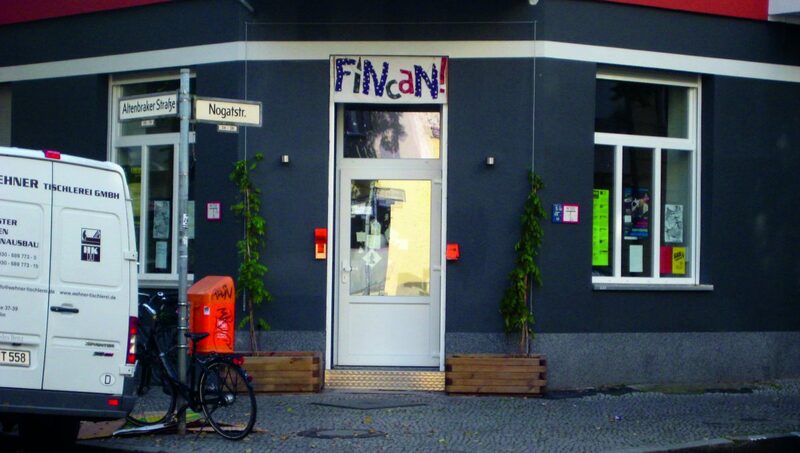 In three years Coopolis coordinated the temporary use of 150 new fashion stores, sewing workshops, galleries, cafes, youth facilities, music clubs, and other venues, in four different neighbourhoods of North-Neukölln. The district’s urban fabric was redefined from classic sales zone over emptiness into a colourful and attractive public zone for the creative industries and local initiatives, in various sized buildings and styles. The content of the spaces have changed from classical shop using (that no one could afford in a poor district like North-Neukölln) into a colourful mixed- use- zone. The expectations of the real estate owners which rents they could ask for this zone was brought down to a realistic level. The missing link was someone to connect the vendor with the space they needed. As a connector, Coopolis took government subsidies to organize the change process. No government subsidies were used for rents or investments into the spaces themselves: The goal was, from the beginning on, to moderate self bearing deals between real estate owner and vendor so that they are independent from subsidies. In our shop vacancy projects, we are committed to new forms of cooperation between owners and space seekers to develop the site as needed for a stabile and sustainable future. Investment. Coopolis maintains excellent vendor relationships with their tenants through their own investment—and the tenants give back as well. Often the shops were in a really bad state and there was no chance to renovate them by the vendors because no one could afford a high rent that would be caused by a professional renovation. Coopolis supported the contractual negotiations, listened to the owners and their needs on one side and supported the tenants in their starting phase with their enterprises or projects on the other side. The result was really fair contracts for both sides: the tenants invested by renovating the empty shops by themselves, the vendors got a new user for the empty shop that did not cost much, but made the place more attractive and liveable. In a short time, empty flats were also filled when the ground floor had a new use. Hands-on approach. As residents of Neukölln themselves, Stefanie and Maria have every opportunity to see and meet their clients face-to-face. Their expert knowledge of the neighbourhood allows them the capacity to think and do. Roles. Stefanie is the mediator between families/property owners and the entrepreneurs while Maria is coach for the new entrepreneurs. By sticking to their roles, they are experts in what they do. Cluster planning. Coopolis works with clusters of shops and moderates the collaboration with a collective of the residents who co-create the spaces in an organic way. Once the tenants/ entrepreneurs have invested in their spaces, Coopolis helps the cluster to get to know each other and to cooperate in the future e.g. with common exhibitions in all shops at a site or to organize a happening for the neighbourhood like “Körnerschnitzel” —creating a dramatic effect on the surrounding neighbourhood. The neighbourhood rent subsidy means that tenants will stay longer and continue to invest in their space. The original 150 entrepreneurs have all stayed in business. 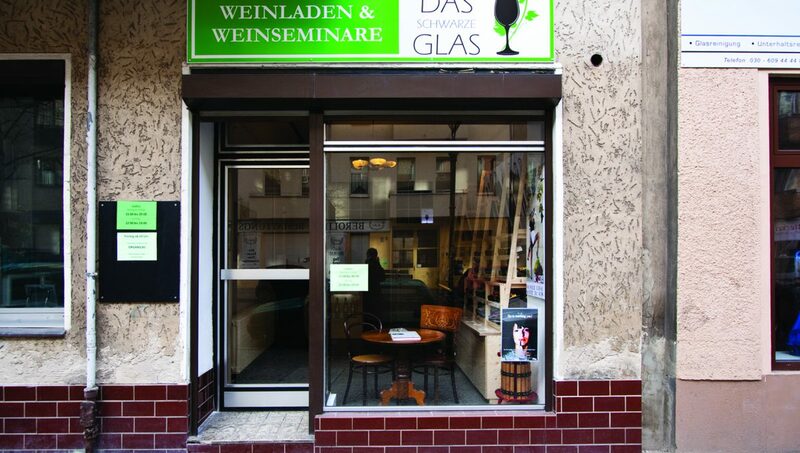 The ground floors of Neukölln’s streets are active during the day and into the night. It will be a crucial aspect in the following years that the owners value the engagements of their new entrepreneurs. If they raise rents too fast, entrepreneurs will leave and the attractiveness that is here today will be destroyed. To prevent this, Coopolis started a next step with a local cooperation network between the local owners. Coopolis’ socially oriented project promotes long-term planning and high-quality gain for the plinths in Neukölln. 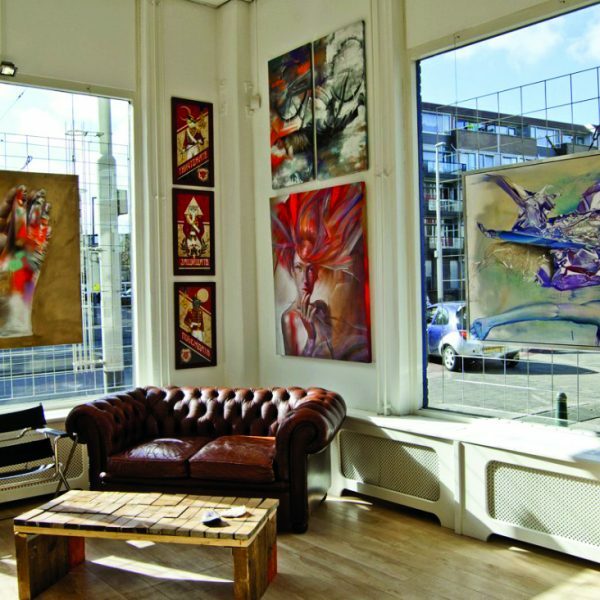 By using the neighbourhood subsidy scheme, the entrepreneurs benefit from lower rent and at the same time are encouraged to invest in their space. This hybrid formula has revitalised the area and secured an active ground floor for the long run. 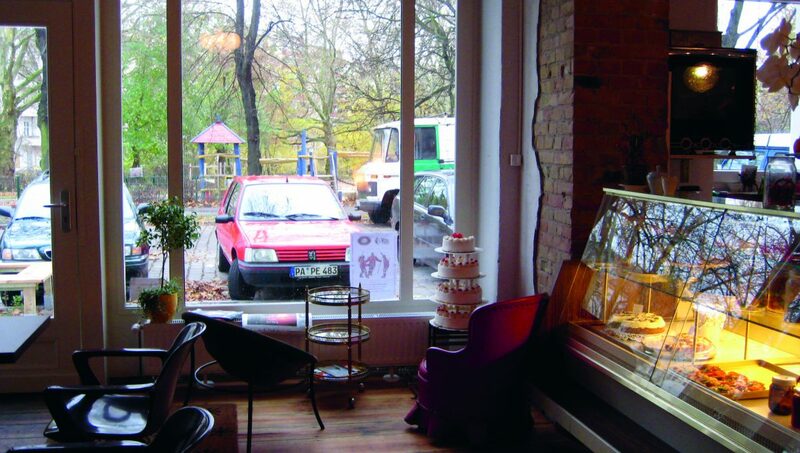 In the past several years, Neukölln has positioned itself as a unique place in the city for urban experimentation and fostering a culture of entrepreneurship. Projects such as De Klunkerkranich, Ritas Häkelclub, and Rita in Palma are only a few examples of the tremendous energy in the area. De Klunkerkranich is community project completed by a group of about 500 people and about €100.000. 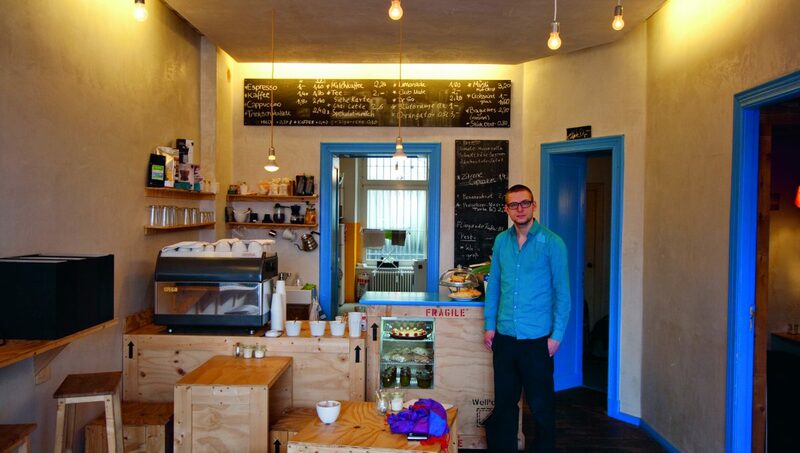 It is an urban farm, music venue, and cafe/bar in an underused parking garage in central Neukölln.